Need a banner tomorrow? We can now print and deliver your banner the following business day. We know you don't always have that 3 to 4 day cushion to plan for upcoming events. When something comes up last minute it is nice to have a vendor that can pull through. 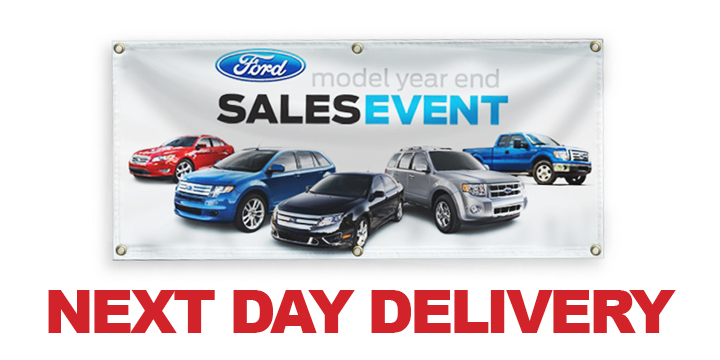 Bluegrass Print is proud to announce our next-day banner printing service. The cut-off time is 2:00 PM EST. Send us your artwork and we will print, hem, finish and deliver your custom banner the following business day – Guaranteed. Need other wide-format signage next day? We can make that happen too! Contact us today to get free quotes for rush turnaround orders.